Good Morning- Happy, Happy Wednesday!! Hope you're having a great day!! It's time for another set of colors at the Color Throwdown!! This week the colors were chosen by Lynn!! This week we're playing with green, purple, yellow, and red! Fun colors!! Yep, there's that purple again, lol!! I have very little school themed stamps but, I fell in love with this older set from Reverse Confetti, and honestly, I think this is the first time I have used it. Isn't that worm the cutest... and the ruler and pencil... sweet!! Once you’ve finished your card or other paper-crafted project, add a direct link to your creation using the Inlinkz tool at the bottom of the Color Throwdown post. 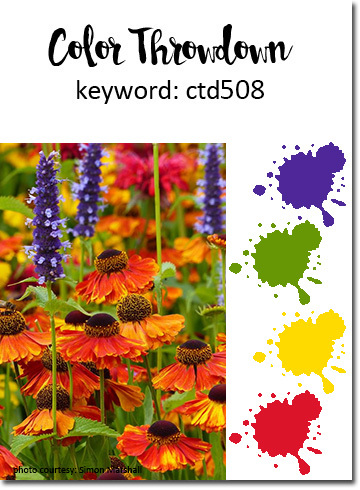 And, don’t forget to use the keyword CTD508 if you upload your project to an online gallery, or hashtag on social media with #ctd508 and/or #colorthrowdown. August Guest Designer: Joy Taylor - Simple by Design- Joy is not able to finish this month with us due to family health issues. Send prayers!! Thrilled to have you playing along!! This is really cute Vickie! I love how you used these colors to create a school themed card. 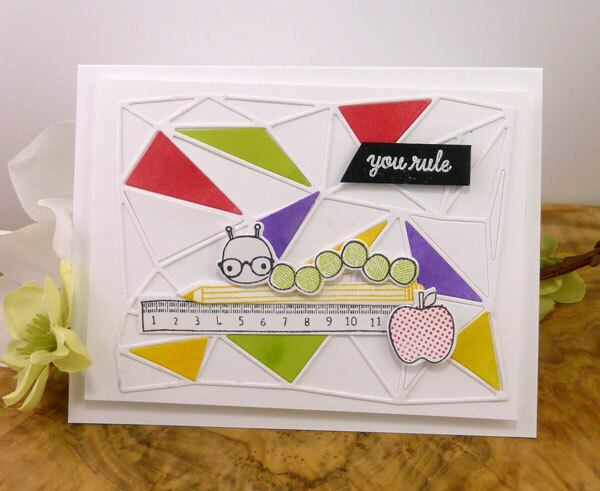 Serendipity Stamps- August Blog Hop #!